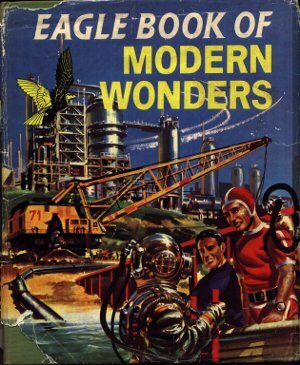 Eagle Book of Modern Wonders covers all the topics considered to be at the forefront of technology in the late 1950's. Britain still had a ship building industry and the world's greatest bridges and tunnels warrant 14 pages of description. Dimensions : 21.5cm x 26cm with 192 pages. Delta-wing aircraft break the sound barrier multi-times over. Walter Shepherd: John W.R. Taylor: Martin Thornhill.